Are you a photography lover? Whether its photos I’ve snapped or someone else, I can’t resist looking. When I first visited Dakota’s Nature Photos I was oohing and ahhing at the beautiful scenery and animals he has captured. I quickly marked his website as a favorite. 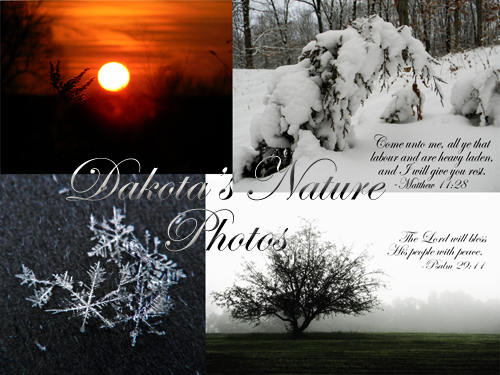 Dakota has a free giveaway for all who participate, so head on over view Dakota’s work. The only problem you may have is choosing which photography you like best.